Coverings 2018 was a huge success. All in one venue, see thousands of dazzling products, connect with suppliers from around the globe and discover ground-breaking techniques, tips and tricks. If it's new in tile & stone, it's at Coverings. Victor Display is the leading manufacture in stone and tiles display products located in Xiamen,China. Main Products including display towers, tabletop display, sample books,sample boxes and so on. 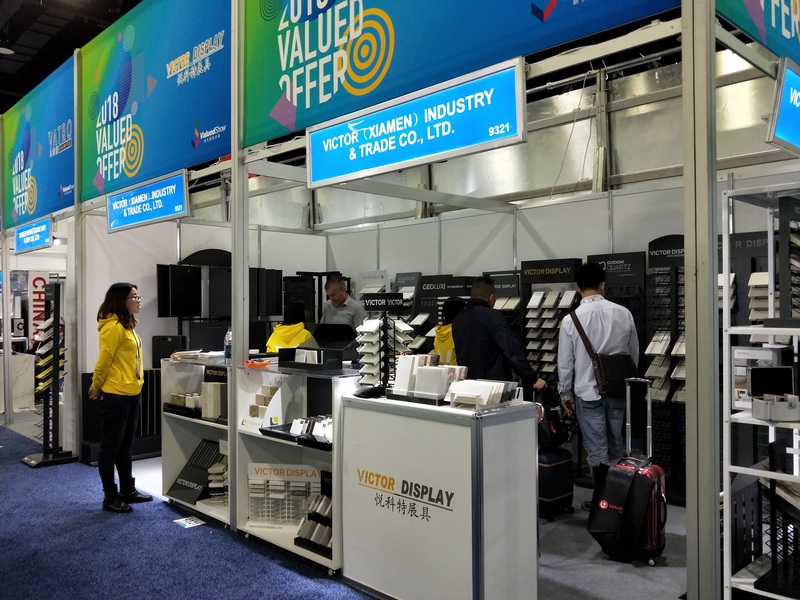 With a strong team of highly experienced and professional workforce in the industry, Victor Display has been recognized as the the best supplier for stone and tile display products. More and more stone company choose Victor Display as stone and tile display supplier because of the good quality, excellent service and reasonable price.